Christmas is all about giving. There is no better way to celebrate the festive season than giving your school fantastic Christmas Fundraising Calendars. 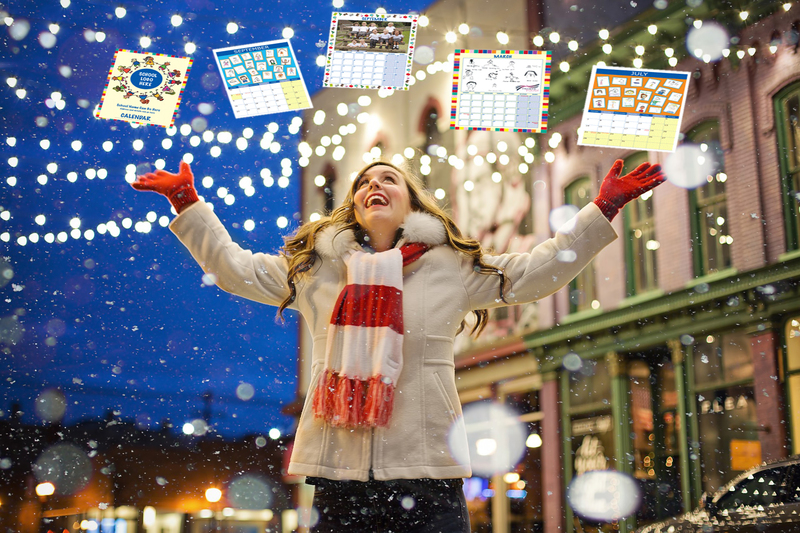 Organise a School Christmas Calendar and you can arrange to sell your calendars during the festive season. Your school members and families will snap up your calendars. They make a great gift and can be sent with wishes to their friends and family. Fill your calendar with artwork created by your pupils or school photographs. Your Christmas Fundraising Calendars that you create will be cherished and hung on the wall. To be admired and will prove invaluable throughout the entire year. Creating a school calendar makes a fun and festive project, raising substantial funds for your school along the way. Creating it in the run up to Christmas will get your whole school excited about the festive period approaching. You need start planning your Christmas Fundraising Calendars in advance so that they are ready for you to sell at Christmas. Christmas can be a busy time andwhen you start to see town centres being decorated with colourful lights you know it is time to start to plan for your Christmas Fundraising Calendars. In the run-up to Christmas there will be plenty of opportunities to sell your calendars. Maybe your school is holding a Christmas Fayre, you could organise a stall to sell your School Christmas Calendars. If your school is holding a nativity play you could sell them to parents at your school event.